Talented galloper Ocean Emperor gave his rivals weight and a beating when he took out the Courtesy Ford Red Craze Bowl (1400m) at Awapuni. The seven-year-old Zabeel entire was having his first run since a disappointing campaign at Hawkes Bay that saw him finish midfield in the Gr.1 Tarzino Trophy (1400m) on the first day of the spring carnival there before dropping away to finish well back in the Windsor Park Plate (1600m) on the middle day. The brief freshen-up worked the oracle as Ocean Emperor charged home along the fence for rider Rosie Myers to down talented performers Beefeater and Darscape Princess in Saturday’s contest under the steadier of 60.5kgs. Trainer Gary Hennessy cut a satisfied figure as he watched his stable star return to the winner’s enclosure. “The key to him was getting some cover,” Hennessy said. “He was absolutely murdered in the Tarzino and it just stuffed up our whole programme. “He’s always shown a heap of ability and we are now back on course. Hennessy hasn’t been afraid to take on the best company with his charge, trekking to Singapore in May to contest the prestigious Kranji Mile (1600m) where he finished a creditable seventh and he has ambitious plans for the coming weeks. 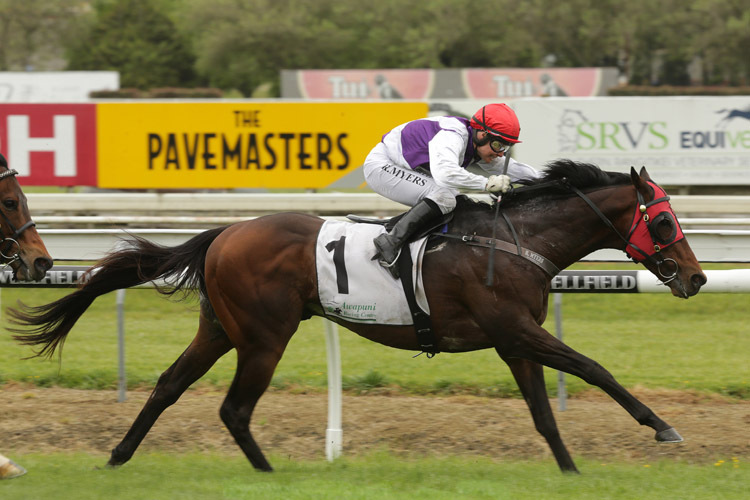 “He will go back to the Tauranga weight-for-age that he won last year,” he said. That immediate target is the Gr.2 Gartshore Tauranga Stakes (1600m) that will be run at Tauranga on November 17 with the Gr.1 Rydges Wellington Captain Cook Stakes (1600m) run at Trentham on December 8. The victory took Ocean Emperor’s career record to eight wins and a further 5 placings from just 28 starts with more than $206,000 in stakes earnings.